New Apps I have been working On. 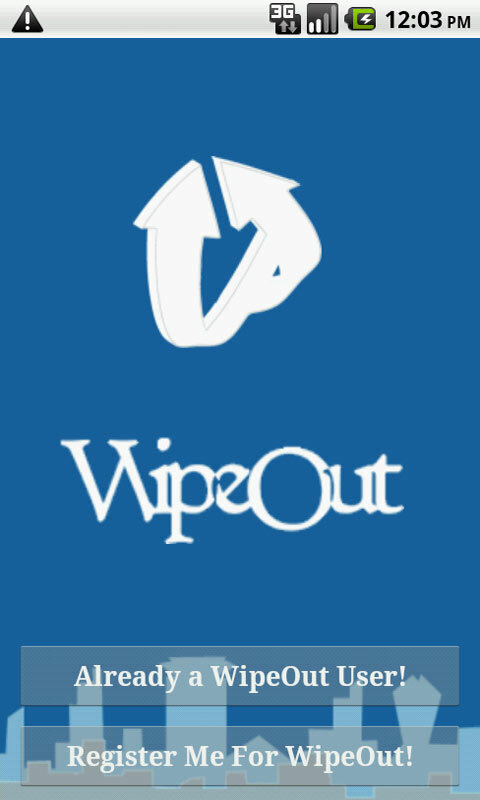 Time to Unveil two new Apps I have been working on: This will be a pictorial Blog with few words and More Images just to give an impression of the Apps. Download link: 1.) Google Play. 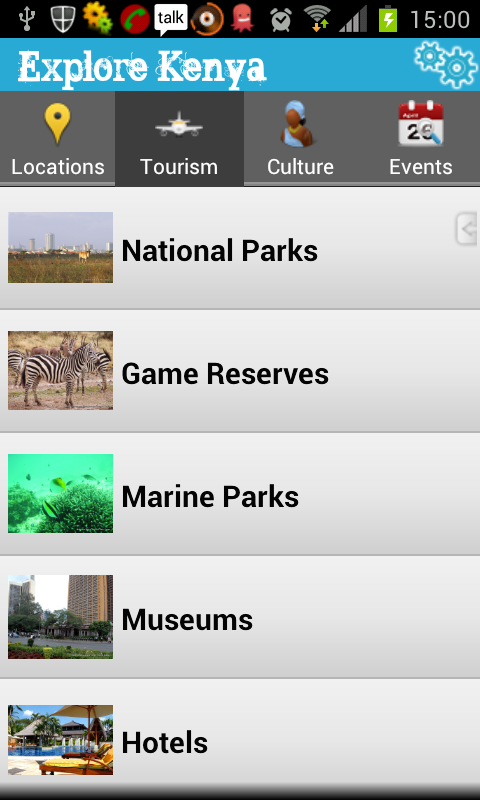 Description: Explore Kenya from the comfort of your phone.Find out about National parks,Game reserves,Marine parks. 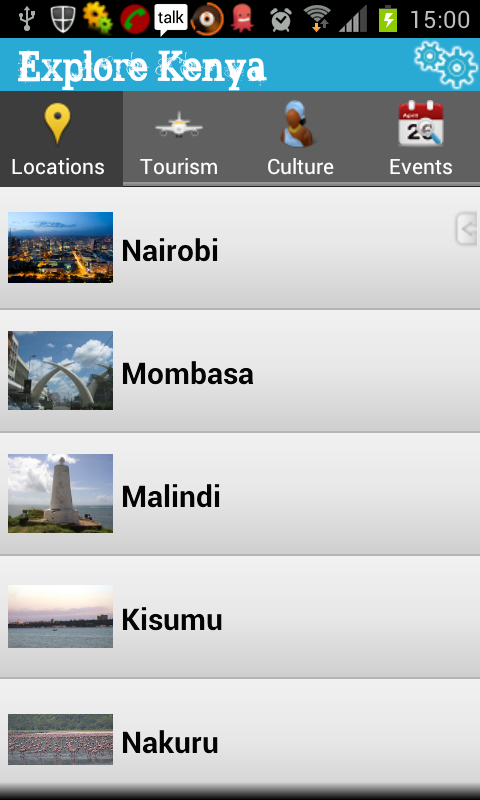 Attractions in major cities and towns in Kenya. 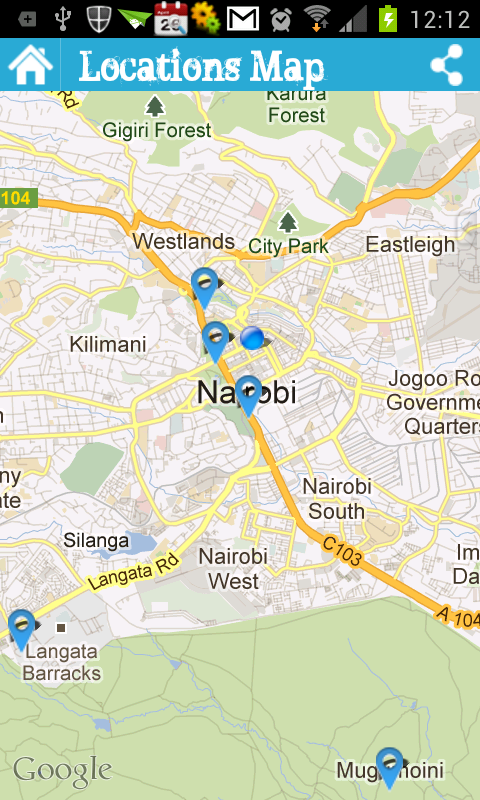 Want to know about Events that are happening in Kenya. 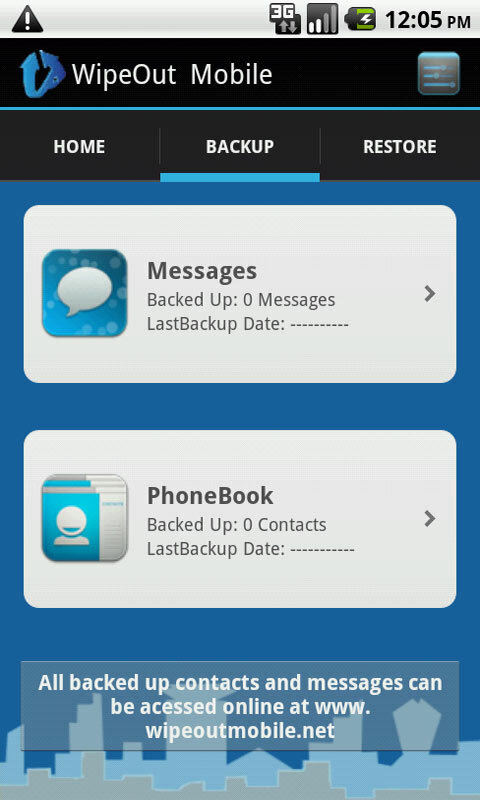 Then its never been easier receive Push Notifications on your Android powered Device in real time. 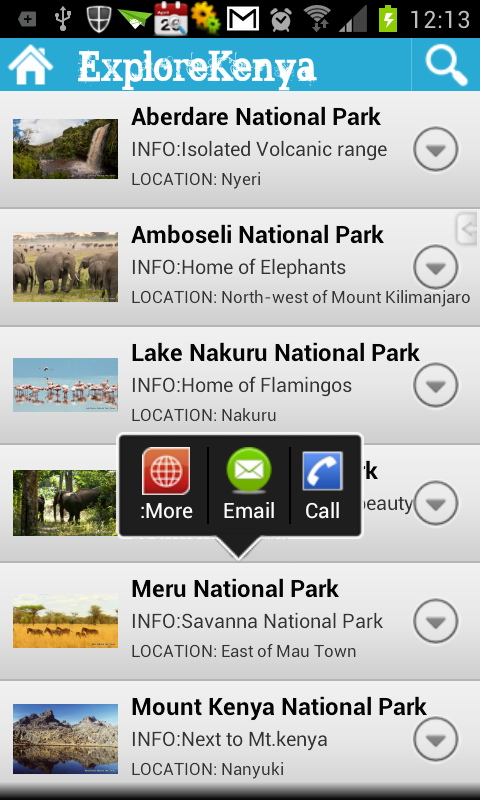 Share your sights and comments with your friends on Facebook and Twitter all via ExploreKenya.